Lord Lambourne is of course one of the most popular of all Garden Apples but how many of you know his wife, the lovely Lady Lambourne! Found in Berkshire in 1945, this sport from Lord Lambourne has the most beautiful intensely coloured fruits which exhibit various sunset shades of orange, red and yellow. In all other respects it is identical to Lord Lambourne with the same excellent flavour. 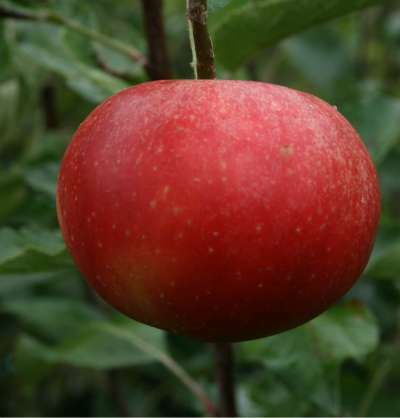 A most remarkably beautiful apple which every connoisseur will want to try.